Details: The project is coming up at Sirsi road in Jaipur. It is spread over 3.50 acre of land. 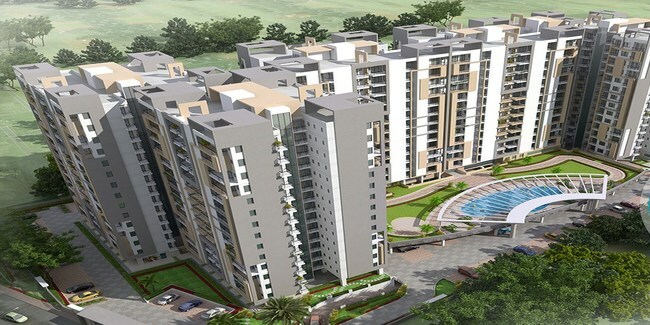 The project offers 5 towers with B+G+14 floor, it has 274 units of 2, 3 and 4 BHK apartments. The range of area include 1466.01 to 2414.25 Sq Ft. Apart from basic amenities, the project offers rain water harvesting/ recharging, storm water drainage, sewerage, transformer, solar energy, fire fighting provision, etc. 664, Dhaka Nagar, Sirsi Road, Jaipur-302023, Rahasthan.